Before the new season kicks off, we take the Sea Hawkers Podcast on the road (please excuse the road noise). On the way back from the Richard Sherman Softball Game Adam and Brandan talk about the game, their experience the night before the game from the top of the Columbia Tower and offer background about how they each became Seahawks fans. 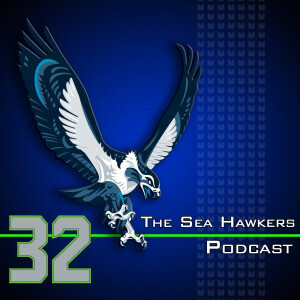 The guys get into a little bit of news with some comments by Andre Reed about Richard Sherman and comments coming from Golden Tate as he compares his new team to the Seahawks and what he expects to be different for him. Coming up on the anniversary of the podcast, Adam and Brandan discuss the origins of the “Do Better” and “Better at life than Skip Bayless” segments. They also welcome suggestions for improvements for the upcoming year.